For some of us, the mighty hike is just one of the outdoor activities that we look forward to at the weekend. Spending time outdoors and in the fresh air is a great way to promote not just our physical health, but our mental wellbeing as well. Walking and hiking has been known to help cure depression, increase moods and positively impact problem solving abilities. So with all the benefits that come with walking and hiking, it really is no wonder that you are looking for a few hints and tips. Heading out on a hike can be a powerful, difficult and even life changing activity, but making sure that you are well equipped and readily prepared for your walk is hugely important to its success. Take a look at a few of the tips that we have outlined below and have the best hike yet! It goes without saying that you should probably check the weather before you head out on your hike. Whatever the conditions are that you will be facing, make sure that you take weather appropriate tools, clothing and equipment with you. One of the biggest problems that hikers face is having equipment that is not working. Make sure that you test drive everything before you go. From stoves, torches and tents through to backpack wight and shoe grip, make sure that you know all of your equipment is appropriate and will work while you are out on your hike. If you find that anything is not working then you can easily replace it in time for your hike. Make use of a Blacks discount code to top up on any of your broken equipment. Make sure that you have planned your route in detail. Heading off on your hike without having properly planned your route can lead to major complications along the way, not least of which include getting lost. Take a map or a phone with you and make sure that you are continuously checking on your route. This is one of the mistakes that are commonly made by hikers and it can have a very negative impact on your hiking experience. Always take a medical kit with you when you go on a hike. Even if you are just going out for the day. Many of the hikes that we go on are dangerous, and may even be inaccessible by car. If you fall or are injured then you will need a supply of medical equipment to help you get back to safety. 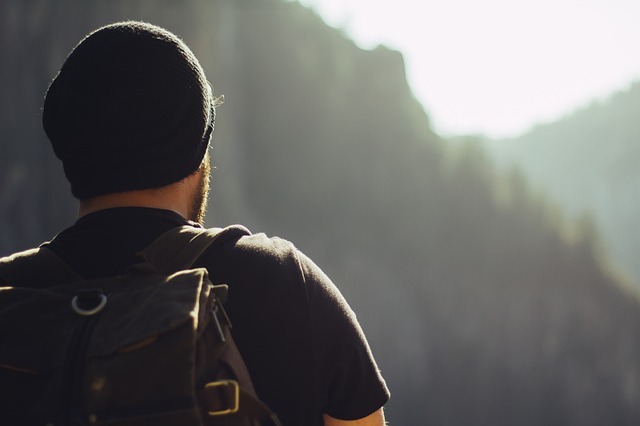 This is often overlooked by beginning backpackers, but it is significantly important. The whole point of going on a hike is that it is not a race. It is a time to walk and climb and really appreciate the beauty of the environment around you. Make sure that you go at your own pace when you are hiking. Not only will this allow you to really appreciate the views that your trail has to offer, but it will also help you to avoid an unnecessary injury. You will inevitably want more food than you have actually bought with you! Remember that you will be walking all day and you may even be sleeping rough at night. Take enough food to keep your energy levels up. No one wants to spend their entire hike starving and tired! Make sure that you really take the time to enjoy the experience by taking enough food with you. You can get some great supermarket food deals with My Favourite Voucher Codes. So stocking up on your food supplies doesn’t have to be expensive. A lot of hikers just assume that they will be walking at the same pace throughout their entire hike. This is not true. It takes a lot of hikers twice the amount of time to walk uphill as it does to go on level ground. Make sure that you account for this when you are planning for your hike. Giving yourself the extra time will ensure that you are not putting unnecessary pressure on yourself. A hike is supposed to be fun after all! When you are hiking in the wild and rough terrain of the wilderness it can be tempting to just leave your rubbish behind. This is not a good thing to do. Make sure that you take all of your rubbish with you when you are hiking. Just because people are unlikely to come across it doesn’t mean that it isn’t having a negative impact on the environment that you are hiking through. Preserve the trail for other hikers in the future by taking your rubbish with you. There are so many things that you will need to account for while planning your hiking trip. Make sure that you plan and organise your journey meticulously. This way you will actually be able to enjoy the hike, rather than be stressed or worried the entire time. Make sure that you consider the weather, test your equipment before you leave, properly plan your route, overpack your food and take a medical kit! You will also need to hike at a pace that is right for you, account for your uphill travel time and take your rubbish with you. With these tips in mind you should be well on your way to having the hiking experience of a lifetime!